Established in 2002 SENTRAL College Penang aspires to be a tertiary education platform for youth; to develop them into wholesome capable individuals who will support their family, serve the community and strive for the country. Dr. Chiang Geok Lian was appointed as the CEO / Founding Principal to uphold this purposeful goal. She is still the strong pillar of support and catalyst of SENTRAL’s growth. We continuously seek partnerships with prestigious institutions of higher learning both locally and from abroad to bring various offerings to students with different career preferences. 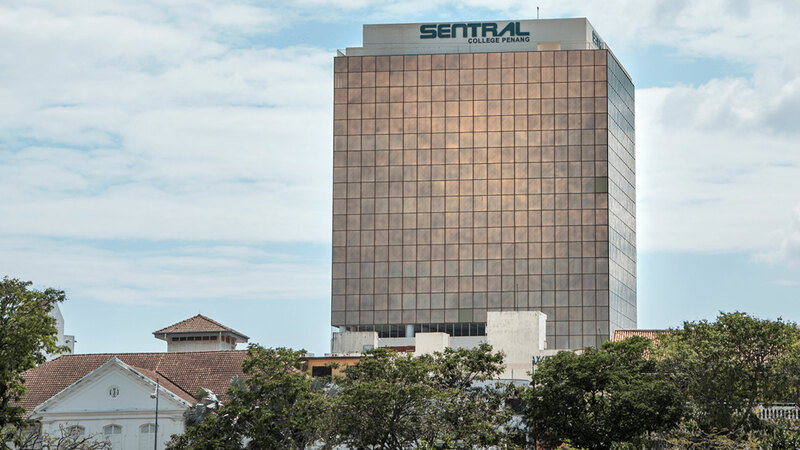 Founded as Sentral Technology College, we went through two significant changes – renamed SENTRAL College Penang and relocated to the gleaming 14-storey SENTRAL Tower. The relocation reflects our success in growing the College into an all-encompassing institution. We reaffirmed our founding goal and are committed to realise our vision. “To be an impactful and significant institution fostering programme relevance, creative thinking and institutional excellence”. We aspire to achieve this vision steadily but surely – all within the context of mutual respect, active learning and caring, liberty and justice, adopting the best of education practices aligned with the National Education Philosophy. An institution with the sole purpose of becoming a tertiary education platform for youths. The team moved into a standalone building at Jalan Zainal Abidin. Dr Chiang Geok Lian was appointed as the Founding Principal and CEO to lead the institution’s purposeful vision and mission. A fitting status awarded by the Ministry of Education Malaysia. To reflect our growth and success in becoming an all-encompassing institute offering a wide range of programmes.